Mest’s original line-up has reunited. They’ve signed with Cyber Tracks and are in the studio with Cameron Webb to record a new album. The press release can be found below. Punk rock quartet MEST has re-emerged with their original lineup, a record deal with Cyber Tracks, and producer Cameron Webb (Alkaline Trio, Pennywise, NOFX) behind the console. The band is currently in the studio writing and recording their first new album in over a decade which is due out Spring 2019. Since forming in a working-class suburb of Chicago in 1995, Mest has always been known for their live performance. The band got their first real break when Tony Lovato sent the band’s album to Goldfinger’s John Feldmann who helped them get signed to Maverick Records, and produced their major-label debut Wasting Time, which was released in July 2000. Since then the band has released three more albums on Maverick — 2001’s Destination Unknown, 2003’s self-titled disc, and 2005’s Photographs. 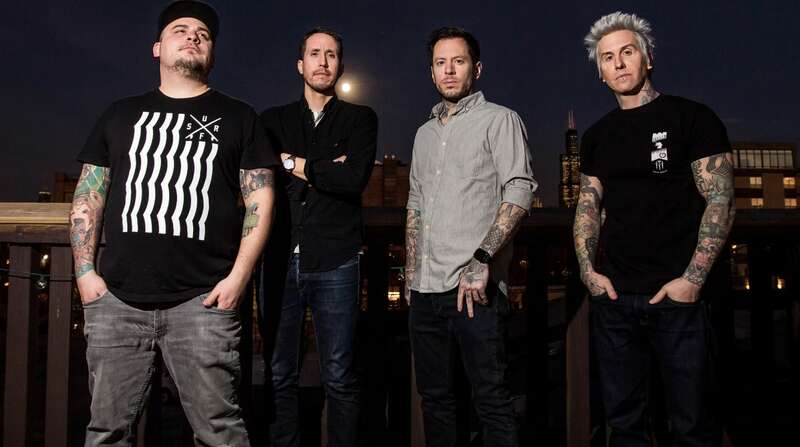 Tensions between the band members about the musical direction of the band, growing up, starting a family and not wanting to tour as much caused the band to break-up in 2006, and Mest announced their breakup, as well as a farewell tour entitled So Long and Thanx for the Booze.